Sometimes, checking through your Twitter updates (follow us via @placebrandobs) really can be inspiring, especially when you come across an article like the one below by Josh Jost (@joshjost), ethics and identity consultant based in London. His observations about the end of branding as we know it, and the need to put ethics and “walking the talk” back into the equation, couldn’t be more timely for efforts aimed at branding cities, countries or tourist destinations. Brands and branding – concepts of the past? For them, ethics was about cultivating one’s ideals into a positive and fruitful reality. In other words, ethics was about how to live life to its fullest potential. If the ancient Greeks ran corporations today they would have a chief philosopher sitting at the boardroom table advising on how to strategically guide the corporation toward greater health and well-being. Our disunified approach to identity leaves us with organisations that are schizophrenic, split between crafting grand appearances on one hand and self-defeating behaviour on the other. They define their image in the marketing department where it is merely seen as an instrument of growth, and they monitor their behaviour in the legal department just to ensure they don’t get into trouble. 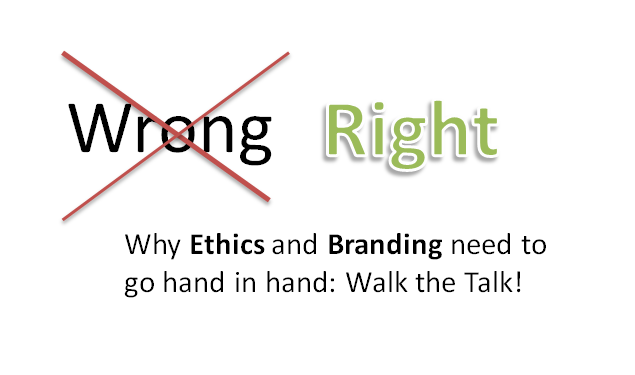 Enjoyed this post on ethics and the need to rebrand branding? Share and spread the word! ← Place Branders, Don’t Mess With The People’s Brand!